Our trip to India has been an enlightening experience, to say the least. First of all, I would like to take some time to talk about some of the problems that I observed while I was there. The issues I saw were not just water related but also sanitation related. There is little awareness about waste management practices, as well as even less efforts are put towards improvement. This is evident from the presence of trash, not just on the ground but also in the water supply. In addition there were cases where waste and effluents were actually being piped out of the main cities and being redirected to the river basins where they would either seep into the ground or be sent downstream. We found that there was actually a small stream of waste water running through the now dried up Palar River. 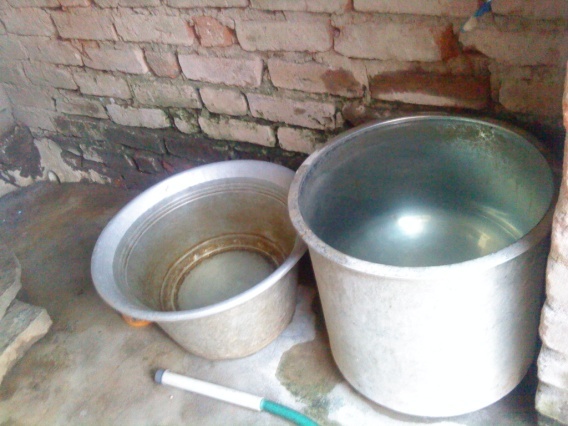 This water would seep into the ground and contaminate the drinking water in the wells. I am writing this to stress that water is not the only problem. It’s sad to see that in today’s times that there are still people living in these conditions. Though we had a rough start at the beginning of the trip, our team is now collaborating more and is better focused on completing specific tasks. Personally I feel this is giving us some much needed direction moving forward. While in India we received guidance from IIMB as well as IIT. They both helped us understand some of the issues we will be facing as well as giving us some suggestions moving forward. In addition we met with people from the India Water Portal as well as some professors from VIT, we are hoping that they can provide some of the resources needed for completing the project. Our next steps moving forward will be finalizing people’s roles on the team, beginning work on a simulation of a prototype at UMN, and working on the business aspect of the project. Polluted underground water leading to dangerous diseases. No steps from the government. On top of that, you have to go really far away to collect this water from the public taps! Is anyone thinking of this problem? A team comprising of students from VIT and UIC is actually working on this challenging issues with a community near Vellore. Yes, its the Acara Challenge. We spoke with Himanshu Chandra recently to know more about what’s JAL been doing in the last few months. Q. We know about the problem that you are trying to address. Tell us more about the solution that your team has proposed. A. We have been working on a technological solution for areas that have severe and untreatable contamination in water. 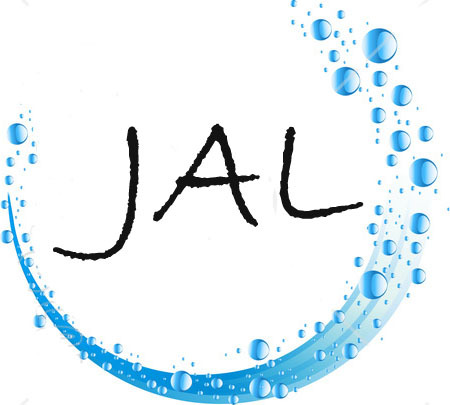 JAL aims to provide economical, high quality drinking water to the poor people with a hassle free distribution system. We visited the local tanneries, villages and the effluent treatment plant (ETP) where we observed that the tannery water is being treated by the ETP in a manner that the treated water is high in complex salt content which is discharged into the nearby dried river i.e. Palar river. This water then seeps into the ground due to the porous river bed contaminating the underground water. The new Reverse Osmosis treatment project being constructed by the government will ensure that there is no discharged water from the ETP ensuring no further contamination of the underground water. Q. That sounds interesting. So help me understand this better. What is the role that JAL is playing in this value chain? A. JAL has proposed an economic, feasible & scalable solution to this problem. The team intends to setup a Solar Distillation Plant which has been designed in such a way that its efficiency has raised to more than 20 times the existing systems and it can supply water to four to five villages at a time. The team is presently working on a prototype which could demonstrate the efficiency of the system. Q. Do you think your solution is feasible? Would people buy this water? Is your solution scalable? A. The water that Jal would supply will cost around Rs.5 for 25 liters and this water will be delivered to the customer door step every day. This system can be replicated and implemented in several places in several countries and hence it is a scalable model. Q. Is your anything else that you want to tell us? A. JAL specifically targets the low income population who earn on a daily wage basis; these people are the ones who suffer the most. The project intends to solve their water problems and also setup community centers which could assist the people in various ways such as agriculture, irrigation, health care, employment etc. Q. Do you have any words for the Acara Challenge and our team? A. Acara Challenge has given us the opportunity to help the society and make a difference. We have learnt the importance of team work and the art of communicating across cultures and oceans as we have our team-mates scattered around the world in Vellore and Chicago and we need to be in constant interaction with them via emails, Skype, Facebook, Acara Base Camp etc. The most difficult task in the beginning was getting our team members in UIC understand the ground situation of the villages in India. We had to send many videos and long emails explaining how things are here in India. We also suggested our team to watch some Indian movies which can give them a clearer idea.Once we could get them to understand the ground situation, we had the ball rolling and we came up with a technological solution for these problems i.e. Solar Distillation. 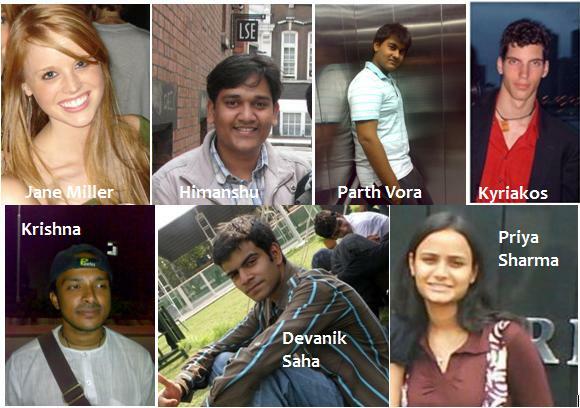 I am very lucky to have excellent team mates as they actively contribute towards the project – Priya Sharma, Krishna, Parth Vora & Devanik Saha from VIT, Vellore and Jane Miller & Kyriakos Anastasopoulos from UIC, Chicago. We have learnt a lot from this experience and we are determined to implement our proposal as early and effectively as possible. This is great. On behalf of Acara Institute, we thank Team JAL and all team members including Priya, Krishna, Jane, Parth, Devanik and Kyriakos. Way to go, guys.